Chasin' Mason: [The Guys Behind the Blog] February. [The Guys Behind the Blog] February. 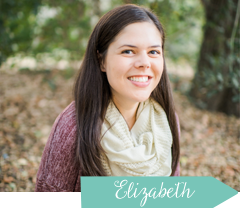 Welcome to February's Guys Behind the Blog link up! 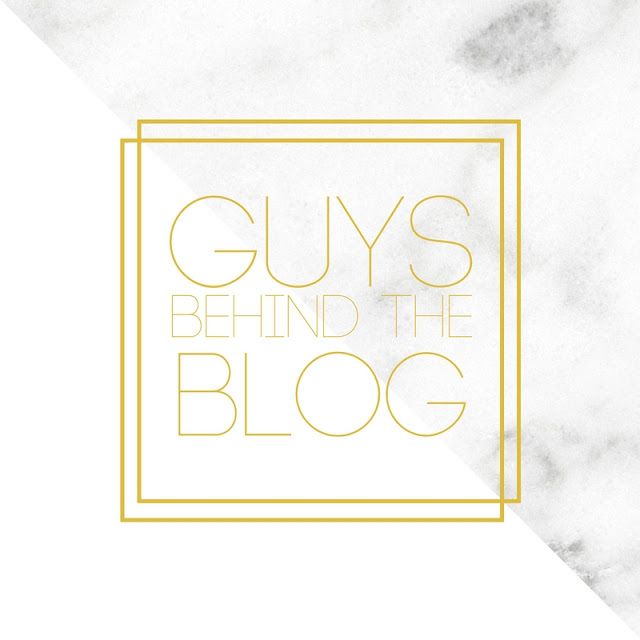 As most of you might know, Betsy from Heavens to Betsy and Laura from According to Laura Jean hosted a series on their blogs called The Guys Behind the Blog. I used to link up as often as possible ever since I found out about the series - I think I only missed one month in the past year and a half since I found out about it. I recently went back to Betsy and Laura's blogs to find out what the questions were for August only to find out that they weren't hosting anymore - July was their last month. I was SO bummed! I truly loved interviewing Seth each month and seeing what questions they came up with. So, I decided to email Betsy and Laura and see if they would mind if I continued on their series. Thankfully they said they wouldn't mind and would be happy to see the series continue on. Crystal from Hall Around Texas, Evelina from Fortunate House, Jamie from Cocktails and Carseats, Jessica from Secrets of a Stay at Home Mom, and I are excited to continue the series on! 1 // Name two things your wife has taught you. Seth: Looks at me confused. Me: Have I not taught you anything? Seth: That I have a problem with putting a new trash bag in the trash can after taking out the trash and that I constantly leave cabinet doors open. 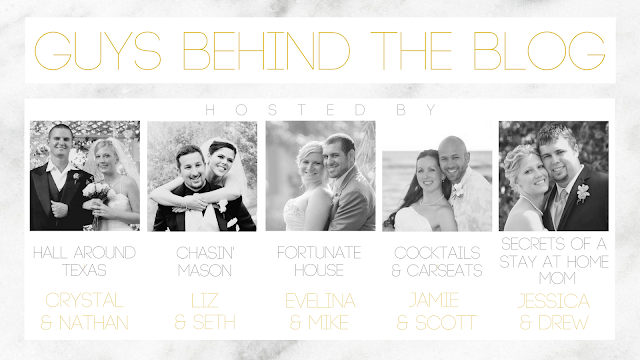 2 // What was your favorite part of your wedding day? Seth: When I got to see you for the first time. Me: You'd never seen me before our wedding? Seth: You know what I mean. Seth: No, it was an arranged marriage. I saw you for the first time and was like "oh, you are pretty!" Me: I think you mean "the first look". Seth: Yes! That's it. And our reception. That was a pretty great party. Seth: I can't even answer beer to this question! I didn't even get to drink my beer! He's not bitter or anything... LOL! 3 // Valentines Day is usually more about the girl...but tell me, what is something YOU would love to receive on Valentine's day? Seth: Valentine's Day is the day of love/beer. 4 // What was the best date you and your wife ever had? I wouldn't consider it a date per se, but our anniversary trip to Santa Barbara. And our honeymoon was pretty epic too. 5 // If money was no option and you could go anywhere in the world with just your spouse, where would you go and what would you do? There are so many places! I'd have to say... since money is no object, we'd have a private plane to take us wherever we want to go. First stop, Bora Bora and we'd stay in one of those huts on the ocean. He's a keeper! I want to do that SO BAD. Now who's going to pay for us to do this... any takers? 6 // Valentine's Day - Hallmark Holiday or Real Holiday? Me: I'll take that as a Hallmark holiday. 7 // What is your favorite romantic comedy movie? Me: ... so of course you liked it. 6 // Would you rather live like a king but have no friends and family or be homeless with your friends and family? A HUGE thank you to Betsy and Laura for letting Crystal, Evelina, Jamie, Jessica, and I continue on their series. It's an honor to be able to continue on what they created. You can find the original series on Betsy's blog here and Laura's blog here. Thanks for playing along again, Seth! I have loved all the answers to these so far!! Seth and Drew are so similar. I'm actually shocked Drew didn't say beer for anything and she so shocked that he same Bora Bora for a vacation. Umm...since when? But I would not be complaining. Seth is cracking me up! Chris picked a vacation as his favorite date too. I can't help thinking I could plan a vacation as one of our monthly dates and he wouldn't notice lol??? And how in the world did Seth not have a beer at your wedding!?? BEER! haha! I loved the movie Summer Catch as well! The trash bags and cabinet answer literally had me laughing! That is hilarious. Beer!!! Zero percent shocked with that. Seth picked some really good Rom/Coms! 10 Things I Hate About You is pretty high up there on my list of favs. Solid choices!! Bahaha...confession...I leave the cabinet doors open and it drives Sean CRAZY! I mean, those are some pretty fantastic rom/coms! [A Year of Color] Pink.